In the Spring of 1967 I took part in Hamden Hall Country Day School’s production of George Bernard Shaw’s “Androcles and the Lion”. I was the Lion. In spite of the prominence of the name in the title, the role of the Lion in the play is actually a bit part. Thankfully my lines and action were to gruff, growl, roar & hop about the stage and a brief dance with Androcles. I was on stage for the introductory scene, and then in the concluding scene. That’s it. I was recruited for the part by my English Teacher, Mr. Fowler Osborn who served as the play’s Director. Key for me was no memorization. Mr. Osborn allowed me to improvise my “lines”. Improvisation… this is important, as you will see in the story I am about to relate. McClellan holds a fascinating place in U.S. Military History. A graduate of West Point’s famous Class of 1846… famous because the class produced 22 generals that fought in the Civil War. McClellan graduated second in a class of 59 Cadets (West Point’s largest class to that point), and his classmates included Confederate Generals Thomas “Stonewall” Jackson, A.P. Hill & George Pickett. After the Federal defeat at the First Battle of Bull Run, Lincoln called on McClellan to take on command of the newly created Army of the Potomac. McClellan feuded constantly with the General-in-Chief, Winfield Scott… and engineered Scott’s removal from overall command. McClellan then was appointed to be General-in-Chief, in addition to being in Command of the Army of the Potomac. After the crushing failure of his Peninsular Campaign when Robert E. Lee out fought him before Richmond, Lincoln removed him from Command of all Federal Armies, although McClellan retained Command of the Army of the Potomac. After securing Richmond, Lee moved to strike directly into the North, took the Army of Virginia into Maryland looking for bases of re-supply and to bring pressure on Washington, DC. Providence played into McClellan’s hands when two Union soldiers discovered a mislaid copy of Lee’s detailed battle plans (Special Order 191) wrapped around three cigars. Armed with this valuable intelligence, the Army of Potomac pivoted to meet the Confederate movements. One of the Civil War’s historic engagements, the Battle of Antietam, ensued on September 17, 1862. It was the bloodiest day in United States history with a combined 22,717 dead, wounded or missing. Union forces held the field, and Lee retreated back across the Potomac to Virginia. McClellan made no attempt to move the Army of the Potomac in pursuit of the weakened Lee. Lincoln was at wit’s end with McClellan feeling that an opportunity to deal a decisive knock-out blow against the main Confederate battle army had been missed. 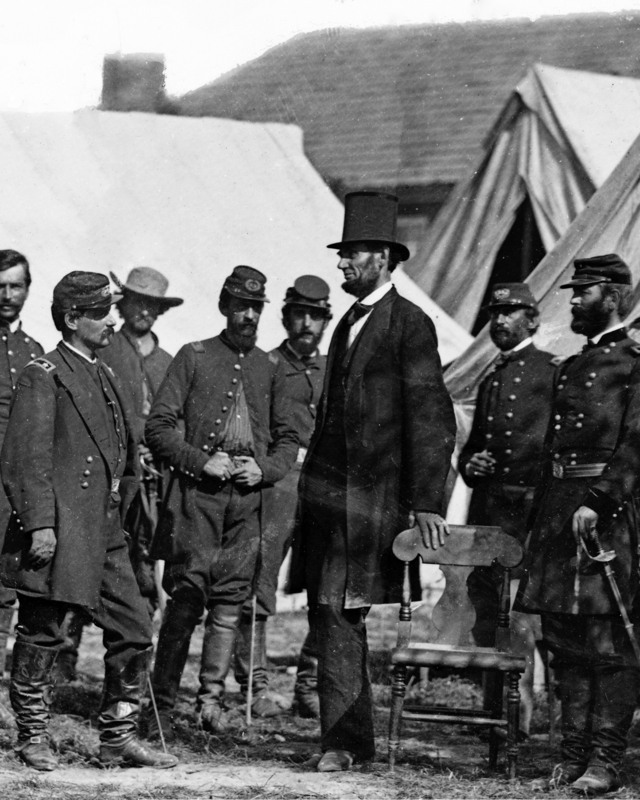 Lincoln took the occasion to visit McClellan’s Headquarters at Antietam. At the meeting President Lincoln sacked McClellan. McClellan would never command an army in the field again. The “Court-Martial of General George B. McClellan” is a counter-factual account of the aftermath of Antietam. The play is set in a military courtroom, and traces the building discord between Lincoln and McClellan thru a series of flashback vignettes, culminating in charges of gross insubordination being brought against McClellan. 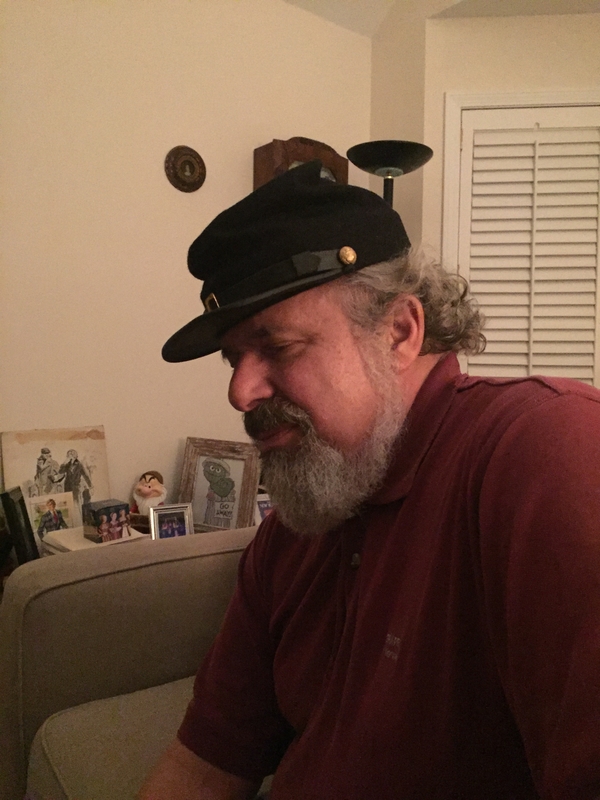 My part as General Fitz John Porter takes place in the flash back scene of the Lincoln/McClellan Antietam meeting. Porter served under McClellan in the Army of the Potomac and participated in the Peninsula Campaign, the Second Battle of Bull Run and the Maryland Campaign. A protégé of the disgraced McClellan, Porter was indeed court-martialed and found guilty of disobedience and misconduct for actions during Bull Run and dismissed from the army on January 21, 1863. In 1878 a special commission under General John Schofield exonerated Porter. After the rehearsal the Artistic Director advised me that they would be going in a different direction for scene. I was thanked for my efforts and enthusiasm, I was relieved of my sword… but I was allowed to keep my cap.